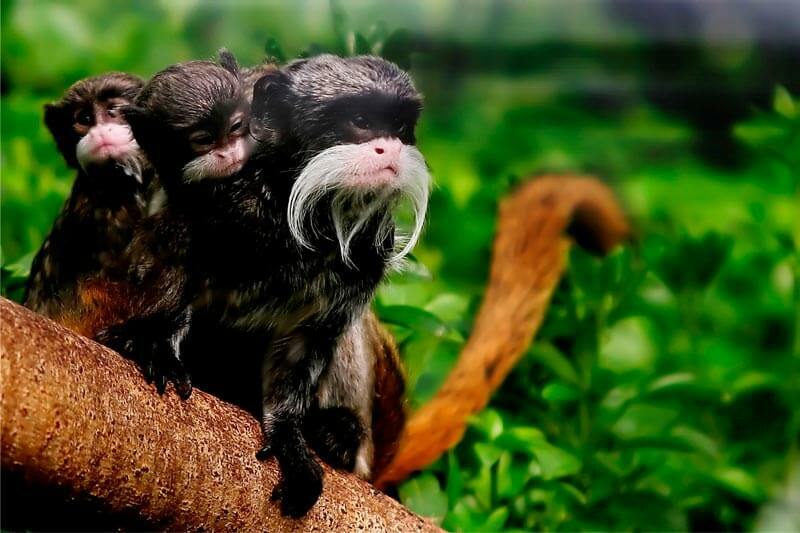 After visiting Peru’s cultural and historical highlights in Cuzco and the Sacred Valley, a trip to the Amazon delivers adventure, scenery, nature and wildlife encounters to round off a diverse experience. 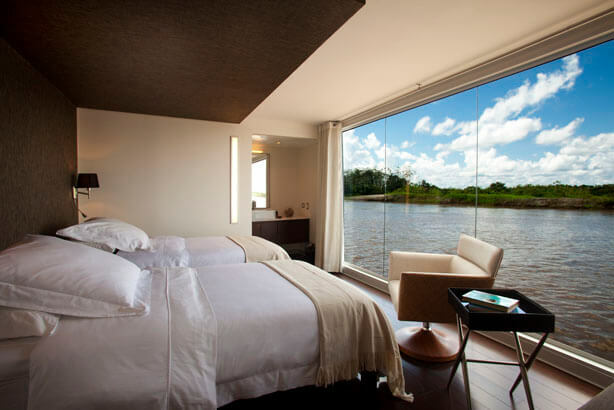 For an offbeat Amazon adventure, there’s no rival to the luxurious four-night Aria Amazon cruise in the heart of the rainforest along the Amazon river. With only 16 suites, an experience on board Aria is intimate and novel. Local guides lead daily expeditions in motorised skiffs teaching you to fish for piranha and sharing their knowledge of the Amazon’s flora and fauna. You’ll spot exotic birdlife, monkeys, caiman and (if you’re lucky) the rare pink river dolphins. Or why not simply relax on board and drink in those ever changing forest views through floor-to-ceiling windows from the comfort of your suite. On select dates in 2018 world-renowned explorer and conservationist, Jean-Michel Cousteau, will be leading an Amazon exploration on board the Aria. Learn from his expertise as you discuss the most pressing challenges facing the Amazon rainforest’s wildlife and delicate ecosystems. If you’d like to join Jean-Michel Cousteau onboard, please contact our team of experts for more details. Travelling to the pristine wilderness of Antarctica is a privilege that few ever experience. But an expedition on board Legend, the only privately-chartered super yacht to sail Antarctic waters, will surpass your expectations. With space for only 26 guests, your private party will be staying in glamourous cabins, enjoying the Balinese Spa, swimming pool, whisky bar and mini-cinema befitting a 5* boutique hotel. Legend comes complete with all the adventure toys you could wish for as you discover the glittering ice fields and surrounding seas of the Antarctic peninsular, including a 2-person submarine, snow scooters, paddle boards, jet skis and helipad. The crew and guides expertly ensure your voyage is as adventurous or relaxing as you desire, taking you to see Orcas and penguins at close proximity and to spot diving leopard seals from a submarine. 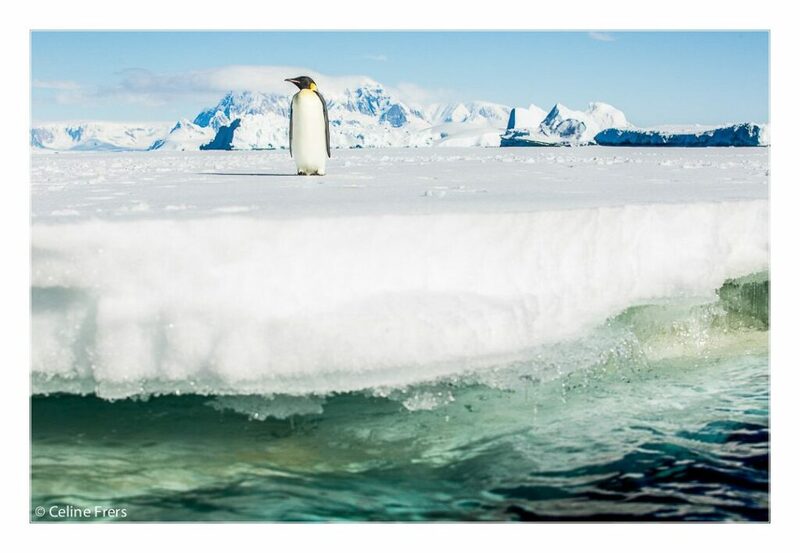 You’ll visit remote penguin rookeries and scientific stations, and for the expedition highlight, navigate the beautiful Lemaire channel amidst vast icebergs where few have travelled before. 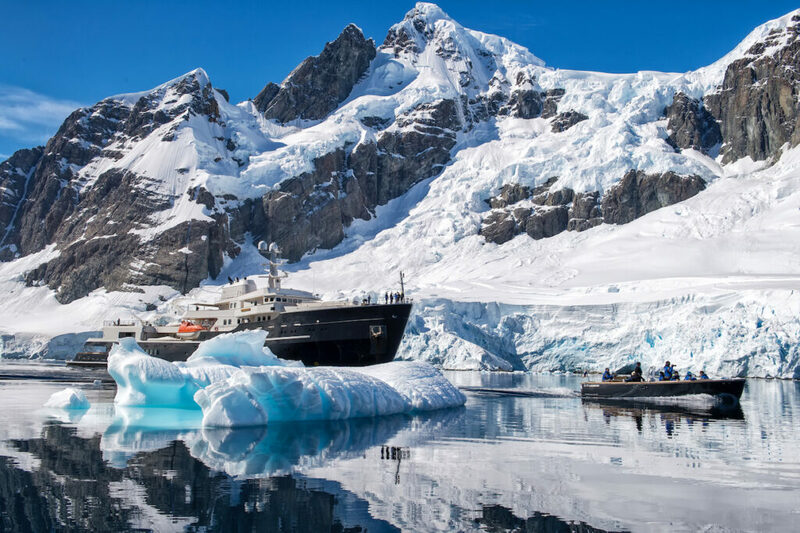 Stylish dining adds to Legend’s wow-factor with an open-air kitchen, grill and Teppanyaki station serving up sumptuous feasts after the day’s adventures, but first, indulge in a bottle of Champagne chilled to perfection in Antarctic snow. The Galapagos Islands win first prize for the ultimate wildlife experience in South America, boasting the richest, most diverse ecosystem on the planet. The best way to explore is by yacht; the smaller the better to ensure top quality service and the most experienced guides. 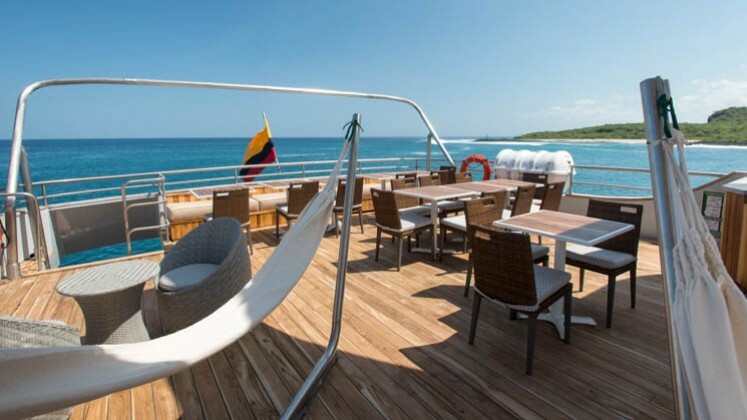 One of our favourite tried and tested seven-night cruises is on board the family-owned eco-friendly Ecoventura Origin, as appealing for its onboard comfort as its exciting itineraries. Sleeping only 20 people, Origin is small and intimate featuring luxurious suites, premium amenities and expansive windows designed to maximise on ocean views. Dining is equally superb with delicious locally sourced meals to enjoy al fresco on the sun deck. 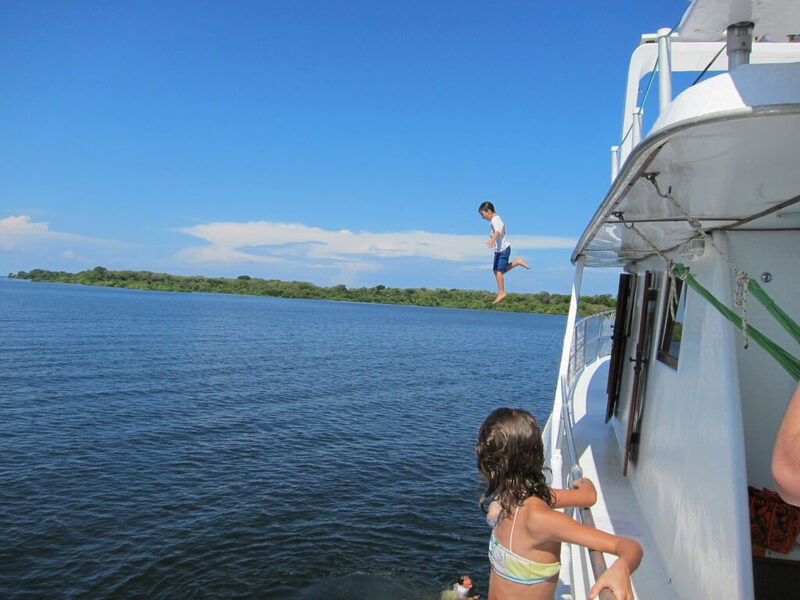 You’ll explore the islands’ lush highlands, volcanic landmasses, tropical beaches and azure waters, with some itineraries incorporating the less visited Black Turtle Cove, Albemarle Point and Espinoza Point. 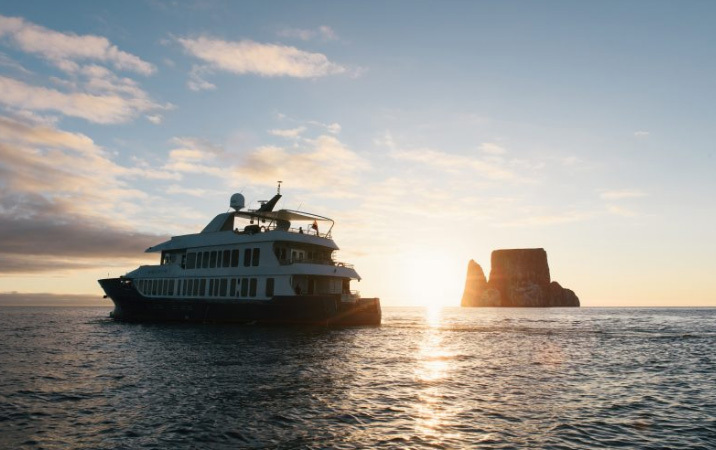 Daily excursions range from nature trails to volcano hikes, canoeing and snorkelling with turtles, tailored to the age, interest and fitness of those on board. We particularly recommend this for a special family holiday, where children can encounter magnificent wildlife in a stunning environment where time has stood still. 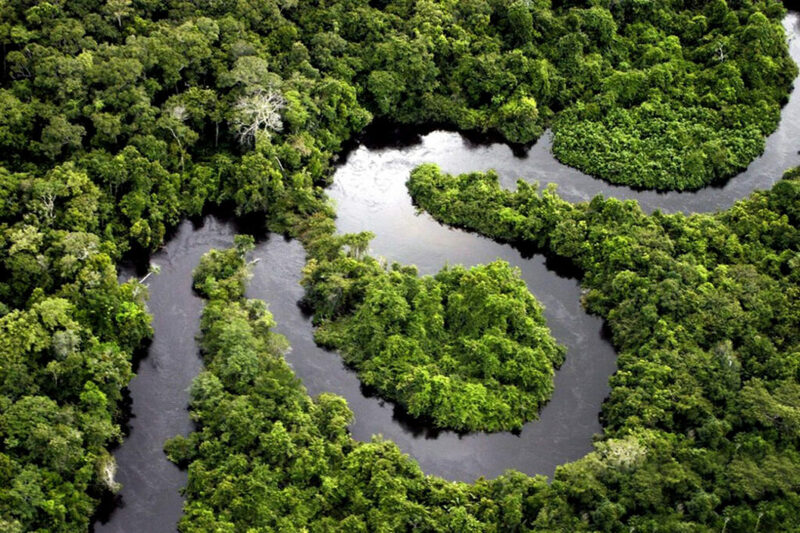 On a trip to the Brazilian Amazon, as in Peru, you are faced with nature in its purest form. 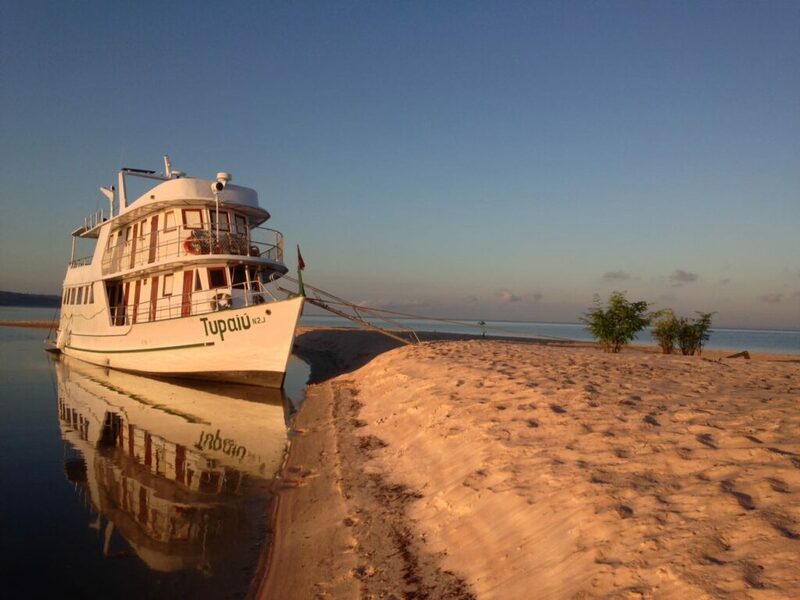 There are a handful of comfortable eco lodges for those keen to remain on dry land, but aboard a privately-chartered boat on the Tapajos River, complete with captain, chef and specialist guide, you’re guaranteed a stunning Amazon expedition where flexibility is the order of the day. 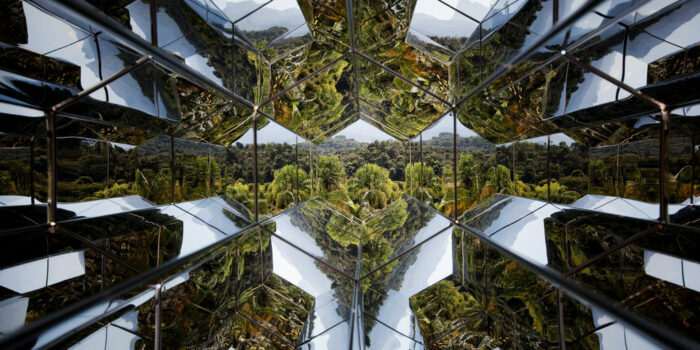 The Tupaiu’s five cabins make an idyllic home for a family or group of friends to spend time in complete privacy. What makes this experience so special is that with the changing of the tides, the river gives way to pristine white sand beaches in the heart of the rainforest. You’ll moor up for a refreshing swim and torch-lit beach BBQ of fresh piranha, miles from civilisation, before returning for a night on board the Tupaiu listening to the mesmeric cacophony of tweets, howls and whistles from the mysterious creatures of the rainforest. 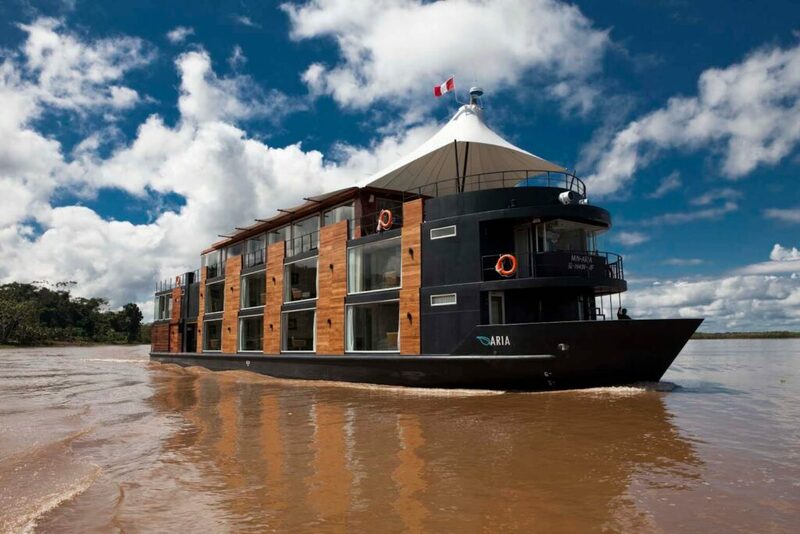 Your captain will steer you on an enchanting voyage where the Amazon’s black, yellow and blue water rivers meet, encountering the jungle and wildlife up close, entirely at your own pace. You can try paddle-boarding, snorkelling, kayaking with pink river dolphins or visiting local indigenous communities to learn about life in one of the least populated and least visited places on the planet. If you’d like to celebrate a special occasion aboard the Tupaiu, contact our team of specialists for more information.